From 2005 to 2015, Seattle built twice the number of housing units as San Francisco. I asked Melissa if they could afford to buy in Laurelhurst today, and she laughed. "We probably would be living in an apartment in Seattle, but given how high rents now are even that would be tough." Seattle has gone from a city where a racing handicapper and manufacturer's representative could buy a house in a very desirable neighborhood to one where middle-class families like the Dodges would likely be priced out of the city. Melissa and Dennis's daughter Mary Dodge, who was 38 in 2017, also had good timing with Seattle real estate. In 2012, Mary and her husband James bought a three-bedroom, one-bath home in West Seattle for $364,000, in a very different Seattle housing market than the one buyers face today. 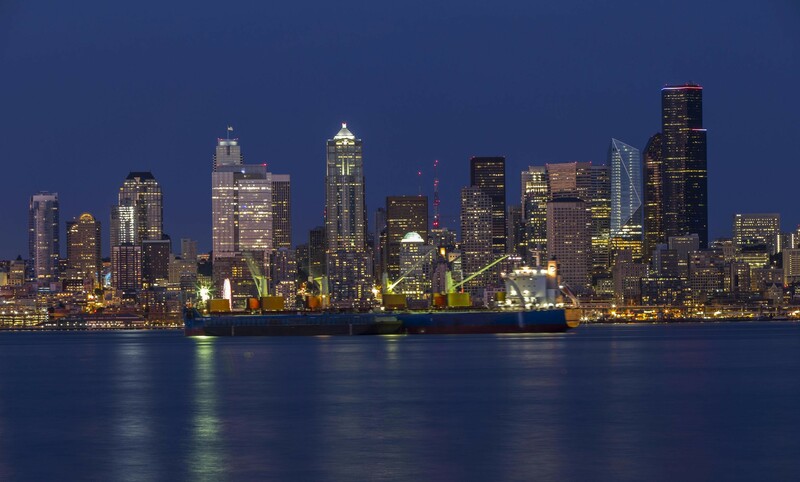 While the city's economy was not as battered as in the years following Boeing's collapse, Seattle was still recovering from the 2008 financial crisis. The national housing bubble had burst, leaving vacant, foreclosed houses across the city. Mary and her husband followed the example of her parents and got into the housing market before the boom. In 2017, the median home value in Mary's 98136 zip code was $716,900. That's nearly double what she paid only five years earlier. Mary told me that she used to think of West Seattle as the city's "best-kept secret"; it is a secret no more. Mary is a psychotherapist and her husband James is a manager with REI. Like her parents, she has two kids. But unlike her parents, she could never afford to live in the North Seattle neighborhood where she grew up. Her 1,070-square-foot house in West Seattle cost a lot more than her parents' first house, which was 3,000 square feet, or their 2,200-square-foot Laurelhurst home. And even though they bought their home before the current boom, Mary told me that they could not have afforded it if James had not had money from his uncle's life insurance policy and Mary from her father's estate. The home-buying challenges for Seattle's middle class are far worse in 2018. Mary and James clearly could not have bought their current home at current market prices. The despair expressed by residents over the pricing out of the city's working and middle class and small businesses was new for Seattle. Longtime residents of San Francisco and New York City have talked this way since the 1980s. But Seattle was different. It was a more laid-back big city. When Seattle launched Starbucks it made sense: Seattle was known for people escaping long periods of rain by sitting down to enjoy coffee. The opening of outdoor apparel company REI in Seattle reflected the city's long months of rain and gray mists; Seattle's weather also led Eddie Bauer to launch his future clothing empire by making down jackets for the city's Boeing Aircraft workers. As for Seattle's values, its launch of grunge rock and the career of Nirvana and Kurt Cobain was associated with people who put musical integrity ahead of careerism. Even Microsoft's opening in nearby Redmond, Washington, did not change perceptions that Seattle residents prioritized quality of life and a desire to live near nature over maximizing their income. The company's 1986 public stock offering turned thousands of Seattle residents into millionaires overnight, but Seattle's culture did not change. More than two decades after Microsoft employees hit it rich, Seattle still remained affordable to the working and middle class. That is no longer the case. Amazon's dramatic job growth has put enormous pressure on Seattle's housing stock. Apartment rents in 2017 were 63 percent higher than in 2010, and home prices doubled from 2012 to 2017. The connection between Amazon's Seattle growth and rising housing prices is clear. In 2017, Amazon occupied 19 percent of all prime office space in the city, more than the 40 next biggest employers combined. Amazon went from employing about 5,000 people in Seattle in 2010 to 40,000 in 2017; this number is projected to rise to 55,000 by 2020. Amazon occupied 8.1 million square feet of office space in 2017; that will rise to more than 12 million square feet by 2022. Amazon "has turned Seattle into the biggest company town in America," wrote journalist Mike Rosenberg in a Sept. 27, 2017 Seattle Times report. But unlike San Francisco or Los Angeles, Seattle's affordability crisis cannot be blamed on its failure to build housing to accommodate population and job growth. Seattle has steadily built more housing for decades, but the city could not have anticipated Amazon's dramatic job growth. And even if it had, in 2017, Amazon was advertising as many as 9,000 Seattle jobs a month; developers could not have built enough units in time to meet such a demand. Yet Seattle's construction boom was so robust that apartment rents began declining by the end of 2017, despite Amazon's massive new job creation. If Seattle had not kept building housing, its rents and home prices may well have come close to San Francisco levels. Seattle may be the nation's most proactive city for housing. Some credit is probably due to San Francisco, which has become the cautionary tale of unaffordability that Seattle seeks to avoid. As Rosenberg put it in a Seattle Times piece in 2016, "Talk to just about anyone about local real estate prices and there's a good chance you'll hear this: Seattle is becoming the next San Francisco. Sure, housing prices and rents are skyrocketing here, but are we really doomed to a fate where million-dollar homes and $5,000-a-month rents will soon be the norm?" 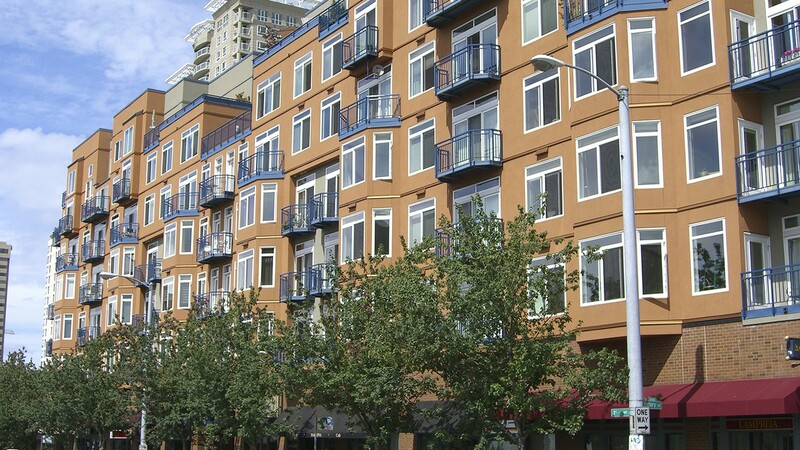 The Seattle Sierra Club, unlike the Bay Area chapter, is committed to infill housing. The answer is no. Seattle will never match San Francisco housing prices. Seattle's average two-bedroom apartment rent reached $2,000 for the first time in September 2017; that was below the average rent for a San Francisco studio apartment. Seattle's two-bedrooms without the amenities included in new housing went for $1,460; that likely would not even be enough to get you an SRO with bath in San Francisco. As for home prices, Seattle's median price was $635,000 at the start of 2017 and by year's end had risen to $741,000. Even with that huge jump, Seattle was still far behind San Francisco's end-of-2017 median home price of $1,275,700. Seattle is much cheaper primarily because it builds a lot more housing. From 2005 to 2015, Seattle built twice the number of housing units as San Francisco, 50,000 versus 24,000. Seattle averaged 5,000 new units per year during that period, while until very recently, San Francisco averaged around 1,950. Seattle's housing production was more than double San Francisco's despite Seattle having roughly 200,000 fewer people. San Francisco rents are also about double those of Seattle, and in 2015 its tenants paid 61 percent of their income in rent, compared to 38 percent in Seattle. Other than in their historic approach to housing, Seattle and San Francisco have many similarities. Both are former maritime cities offering beautiful water views, well-paid tech jobs, and a smaller scale than sprawling urban metropolises like New York, Los Angeles, or Chicago. 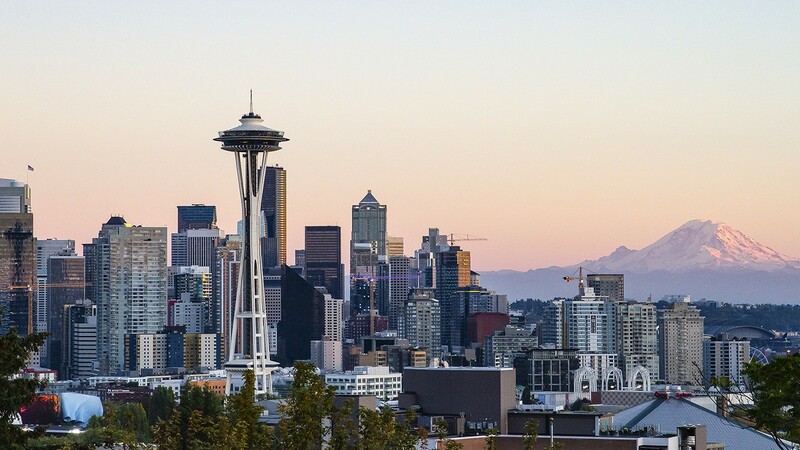 The Seattle area is headquarters to Amazon and Microsoft while San Francisco hosts Salesforce and Twitter, with Facebook and Google based in the nearby South Bay. Seattle has a population of roughly 600,000 to San Francisco's 800,000. John Rahaim, San Francisco's planning director since the start of the tech boom, was formerly the assistant planning director for Seattle. In the 1980s, both Seattle and San Francisco voted to slow growth. In 1986, San Francisco's Proposition M capped annual downtown office construction. Seattle's 1989 Citizens' Alternative Plan initiative limited most new housing to 85 feet in height and office buildings to 450 feet. Whereas San Francisco's annual cap became one million square feet, Seattle limited growth to 500,000. Seattle took one important step in the 1980s that San Francisco did not: It passed a housing levy to help fund affordable housing. Voter approval of the 1981 measure has since been renewed every seven years, most recently with 70 percent of the vote in August 2016 at a higher amount of $290 million. The levy has added 13,000 affordable units and enabled 900 low-income families to buy homes. San Francisco did not pass its first affordable housing bond until 1996. It failed to pass another bond until 2015, when a $310 million measure was approved. In 1990, the Washington State legislature enacted the Growth Management Act to guide planning for growth and development in the state. The act required that Seattle adopt comprehensive plans for building enough housing within its borders to address population growth. Since the 1990s, Seattle has done just that. Seattle Mayor Norman Rice set the city on the right course in 1994 when he pioneered the concept of "urban villages." These communities would get dense, commercially oriented development. They would also support 45 percent of the city's 60,000 new housing units over the next 20 years. Seven less dense "hub urban villages" and 17 "residential urban villages" would accept another one-third of the expected growth. The city backed the housing plans with funding for new parks, utilities, low-income housing subsidies, new bike and pedestrian paths, expanded bus service, and an experimental van transit program. Mayor Rice's housing strategy encouraged growth inside the city, where it could best be absorbed: "Rather than allowing the nearby foothills of the Cascade Mountains to be colonized by new suburban developments, the city will try to lure growth inward by creating attractive urban living environments replete with parks, shops, and restaurants, and a convenient mass-transit system." Rice turned Seattle into "America's epicenter of urban planning," according to Crosscut, a Washington news organization. A 2014 report on the 20-year anniversary of Rice's project found that 75 percent of the city's growth "was going to the urban villages, just where the original planners had wished." This was true even though the urban villages had comprised only about one-third of the city population when the plan went into effect. Imagine if San Francisco in 1990 had been required by the state Legislature to build sufficient housing to deter suburban sprawl. The city would have much more housing and be much more affordable. Bay Area commutes would be shorter, and open green space, rather than single-family homes, would fill East Bay hills. But California imposed no enforceable housing construction plans or development quotas on San Francisco. Unlike Seattle, San Francisco was free to ignore the housing needs of a growing population. It was also free to force much of its workforce to live outside the city. To find out whether Seattle's efforts to build more housing really increased affordability, and how pro-housing forces overcame the kind of neighborhood opposition that blocked housing development in other cities, I turned to Bill Rumpf, president of Mercy Housing Northwest. Organized labor in Seattle also backs new housing. I first met Rumpf in 1983 when he became housing director for Catholic Charities in San Francisco. He built one of the earliest nonprofit buildings in the Tenderloin, the Dorothy Day Apartments. He then became housing director for the San Francisco Redevelopment Agency, directing policy for the city's largest funding base for affordable housing. He then led the California Housing Partnership, which focused on state affordable housing resources. Raised in Seattle, Rumpf moved back to his hometown in 1999. He served as deputy director of housing for Seattle for a decade before taking his current job at Mercy Housing Northwest. Rumpf knows the housing industry inside and out. He attributed Seattle's housing success to activists who long ago recognized that building infill housing is an environmental issue: "In the 1990s, a growing environmental consciousness emerged in Seattle that believed that building housing where you have infrastructure is the environmental way." Rumpf believes Seattle's greater environmental orientation explains why there are far fewer appeals against new housing than in San Francisco. Rumpf was aware of only four projects in 16 years that were subject to appeals. None of those appeals was filed against a Mercy Housing project. He said he cannot "recall a single project ever stopped due to neighborhood opposition." In contrast to San Francisco, Rumpf sees Seattle as "much more environment oriented. People favor green, sustainable buildings, and the city is much more pro-growth." Rumpf's assessment of Seattle's environmentally conscious, pro-growth attitudes was reflected in the election of Mayor Ed Murray in 2013. Murray was a pro-housing mayor who, like Norm Rice in the 1990s, recognized that Seattle's future affordability and livability depended on new strategies to build more homes. In September 2014, Murray announced the creation of the Housing Affordability and Livability Agenda (HALA) task force. The mayor and city council convened a broad section of stakeholders to develop a multi-pronged strategy for addressing housing affordability. After 10 months of meetings, the task force released a report containing 65 recommendations. The centerpiece was the "grand bargain," a deal struck on July 13, 2015, and described in a document entitled "Statement of Intent for Basic Framework for Mandatory Inclusionary Housing and Commercial Linkage Fee." The detailed document had one underlining principle: Seattle had to be upzoned for increased height and density in exchange for increased affordability. Upzoning meant that meeting anticipated population and job growth required changing local zoning laws to allow builders to construct more units on a site. And in exchange for giving builders more units, Seattle would require that a percentage of them be affordable. It is a common-sense strategy that expands housing opportunities for those otherwise priced out, while also stopping sprawl through infill housing. Seattle's HALA plan projected 50,000 new units over the next decade, of which 20,000 would be affordable. Bill Rumpf was among eight signers of the document spelling out the "grand bargain." Others included Mayor Murray, councilmember Mike O'Brien, and Faith Pettis. The mayor and city council appointed Pettis in 2015 to co-chair the HALA task force. She told me in 2017 that the "grand bargain" came about "in the 11th hour." In other words, an agreement was never assured. She also said that over the course of the HALA deliberations, she was reading articles about San Francisco's unaffordability and saw the city "as a case study of where Seattle would be if we did not get a housing agreement done." Pettis saw the grand bargain as the product of an agreement between the nonprofit and for-profit sectors. Each was primarily represented by two other signers. Marty Kooistra, executive director of the Housing Development Consortium, represented affordable housing developers. Jack McCullough, an influential land-use attorney, was the representative for big private developers. "The nonprofits felt that for-profit developers were not doing their share for affordable housing. The for-profits felt that the nonprofits were not effectively using public funds. There were years of bad blood and suspicion between the two groups that had to be overcome to reach agreement." In the case of the grand bargain, Pettis noted, "We all felt that something big was accomplished. Increasing density in urban areas addresses environmental problems, traffic problems, transit problems, and many other urban challenges. Lights were going off inside the heads of those in the room." The HALA report and grand bargain were major accomplishments. Nearly all of the 65 HALA recommendations were included in the mayor's "Action Plan to Address Seattle's Affordability Crisis." But implementation depended on public support, which would be a challenge. Seattle's neighborhood associations were accustomed to getting their way. They strongly opposed the section of HALA recommendations that promoted backyard cottages and accessory dwelling units (often known as "in-law" apartments). These provided affordable options for workers otherwise priced out of these communities, but homeowner groups did not want tenants living in their neighborhoods. An anti-HALA Seattle Times columnist wrote, "Neighborhoods are roiling over Murray's Housing Affordability and Livability Agenda (HALA), protesting a 'grand bargain' struck in secret among developers and housing advocates, but not with regular citizens." Neighborhood opposition to HALA led its key backers to realize they needed to organize and mobilize pro-housing forces to secure the plan's implementation. As Pettis put it, "Left on its own, the HALA would either die or not be implemented as the drafters intended." This led to the formation of Seattle for Everyone (S4E). S4E expanded HALA's support base to include social justice, labor, and environmental groups and businesses in addition to the for-profit developers and nonprofit affordable housing builders whose agreement built the deal. By uniting diverse groups like Service Employees International Union 775, the Seattle Chamber of Commerce, the social justice organization OneAmerica, and the Downtown Seattle Association, S4E's membership alone spoke to the breadth of support for HALA. As Bill Rumpf acknowledged, Seattle's pro-housing agenda is propelled by an environmental consciousness that recognizes the green benefits of infill housing. The Sierra Club's Seattle chapter and other environmental organizations offered strong support for HALA. On Nov. 15, 2016, Jesse Piedfort, chair of the Sierra Club's Seattle Group, and Noah An from the Young Democrats at the University of Washington co-authored "Now More than Ever, Seattle Must Welcome Upzones." The authors argued that taller apartment buildings in the area around the university would be a "boon for affordable housing" and a "necessity for our climate as well." Their piece expressed the green motivation driving support for Seattle housing: "When people can afford to live in the city near job centers and transportation hubs, we avoid long commutes and suburban sprawl and opt for clean and green transit options instead." The Seattle Sierra Club is so committed to infill housing and preventing sprawl that it backed the original version of HALA, which rezoned exclusively single-family-home neighborhoods to include in-law apartments, duplexes, and triplexes. Mayor Murray quickly backed away from the recommendation after getting strong resistance from the Seattle Times. Yet a June 2017 poll found Seattle residents backing the upzoning of all single-family-home neighborhoods by 48-29 percent. This likely reflects public recognition that with 57 percent of Seattle's buildable land zoned exclusively for single-family housing (compared to Portland's 45 percent), the city's housing demand — particularly in light of Amazon's hiring boom — requires upzoning such neighborhoods. The joint statement issued in 2015 by the Sierra Club and other environmental groups stated, "It is better for society, the environment, and families if people can afford to live close to where they work." Gene Duvernoy, president of the Seattle regional sustainability organization Forterra, argued that HALA reflected the importance of "concentrating growth into existing cities and towns." The grassroots green group 350 Seattle identified housing as "an urgent climate justice issue," since "when people are pushed out of the city due to rising rents [or unable to move into the city due to a lack of housing], they are pushed to places that are poorly served by transit, so they need to drive more." The Seattle Sierra Club's strong pro-housing position differs strikingly from the stance taken by San Francisco's Sierra Club chapter. Despite the fact that the San Francisco Bay Area suffers from suburban sprawl and two-hour driving commutes, the San Francisco Sierra Club has long opposed infill market-rate housing. As one critic who catalogued many of the opposed projects put it, "The chapter has a solid track record of opposing dense projects — time and again — that would be located along transit lines either inside or near San Francisco proper." While San Francisco workers moved to exurban East Bay cities like Brentwood, Union City, and even Tracy in search of affordable homes, the local Sierra Club remained a key ally in the city's anti-housing coalition. It has opposed nearly every market-rate project proposed for San Francisco on which the club took a stand. In 2017 it even backed an appeal for the conversion of a parking garage into a 66-unit residential building (with nine affordable units). Organized labor was another backer of HALA and S4E. Just as green activists saw building infill housing as promoting environmental goals, labor's pro-HALA advocates felt building housing would expand opportunities for the working and middle class. Labor's willingness to take a high-profile role in backing HALA became clear in July 2016 when Mayor Murray signed an executive order to cut the city funding and staff support previously enjoyed by the city's district neighborhood councils. These councils had long shaped Seattle land-use policies, and not in a way that served tenants or the city's working and middle class. While 52 percent of Seattle's residents were renters, with a median age of 36, the neighborhood councils were overwhelming composed of white homeowners over the age of 40. Murray stated in signing the order, "We cannot move forward if most of the people in this city — the diversity of this city — are not represented in the very neighborhood groups that this city helps fund and run." The councils were "barriers" to "immigrants and refugees, low-income residents, communities of color, renters, single parents, youth, people experiencing homelessness, LGBTQ ... to become involved in the city's decision-making process." 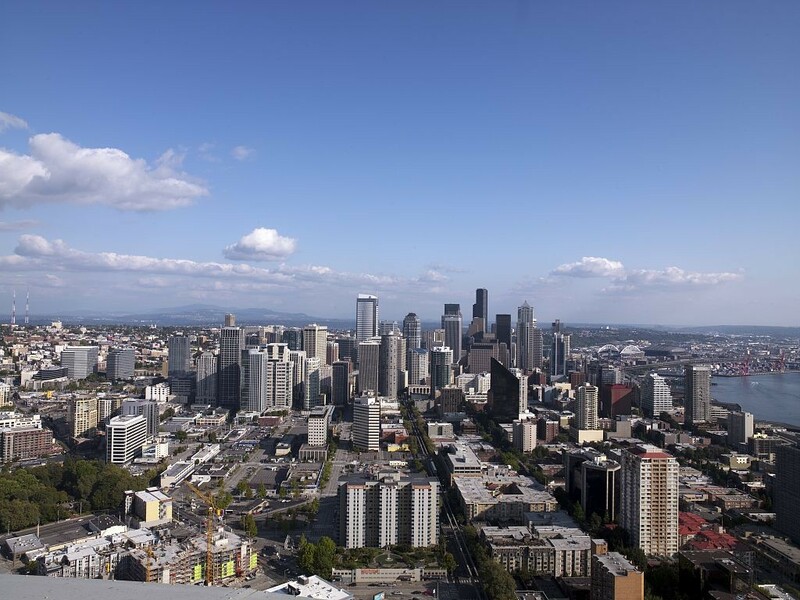 The mayor made his announcement after the ongoing neighborhood backlash against HALA's efforts to increase density in 94 percent of Seattle's single-family-home districts. But according to the Seattle Times, union leader and author David Rolf spoke for labor, progressives, and housing activists in backing a move that "would get city dollars and city staff out of the business of lobbying against much-needed changes to increase housing affordability. ... While it is important that we find ways to encourage civic participation in Seattle, we should not be using taxpayer money to support neighborhood groups that have an agenda excluding renters, people of color, the young, the poor, and those who need social services from their neighborhoods. Mayor Ed Murray has had the courage to finally pull the plug on public funds for these unelected and unaccountable vehicles for homeowner self-enrichment." HALA increases housing density throughout most of the city. This helps prevent the economic and racial segregation that many cities now seek to avoid. HALA co-chair Faith Pettis believed that "committee members were driven to create affordable housing citywide, in all neighborhoods, not simply concentrating affordable units in less desirable areas of the city." The committee sought a housing agenda that "erased the city's clouded history of exclusionary zoning" and felt that vision could be realized through tools such as MHA, Pettis said. Political realities, however, stopped the HALA committee from recommending expansion of the MHA into single-family neighborhoods outside of an urban village. Instead, the committee recommended single-family neighborhoods permit a broader mix of low-density housing types, including small-lot dwellings, cottages or courtyard housing, row houses, duplexes, triplexes, and stacked flats. But neighborhood groups were up in arms over even these small-scale strategies. They unalterably opposed any new housing that added renters to their neighborhoods. To prevent this issue from jeopardizing HALA's implementation elsewhere, the committee put off this fight for another day and did not send that recommendation to the city. Even with the restriction on expansion into single-family neighborhoods, MHA still covers roughly 37 percent of Seattle's residential districts. Over 10 years, it is projected to create 6,000 new units of affordable housing for households with incomes no higher than 60 percent of the area median income, which for Seattle in 2017 was $40,000 for an individual and $57,000 for a family of four. Central to Seattle's pro-housing orientation is a building approval process over twice as fast as San Francisco's. In Seattle, once a neighborhood design review board approves a project, the developer can apply for building permits. The Seattle Planning Commission does not approve projects, and the city council is not routinely hearing project appeals as in San Francisco. As a result, a 43-story apartment tower at 600 Wall Street in Seattle was approved following an eight-month approval process. Paul Menzies of the Bay Area's Walnut Creek-based Laconia Developments told the San Francisco Business Times in 2017 that this would be "impossible" in San Francisco. Impossible is right. In the heat of San Francisco's building boom in 2014, it could take 12 months for a project to even get assigned to a planner for environmental review; after that, a six-month delay remained common. San Francisco projects routinely took two to three years just to get a hearing date for approval; delays and opposition could then extend the approval period for years. Menzies echoed Bill Rumpf in noting "there is more of an understanding in Seattle that we have to accommodate growth." Statistics bear this out. Seattle added one housing unit for every three jobs added during the economic boom covered from 2010 to 2015; San Francisco added one housing unit for every additional 12 jobs. Maria Barrientos has owned and operated her own Seattle real estate development firm since 1999. She typically builds projects in the 75- to 150-unit range. 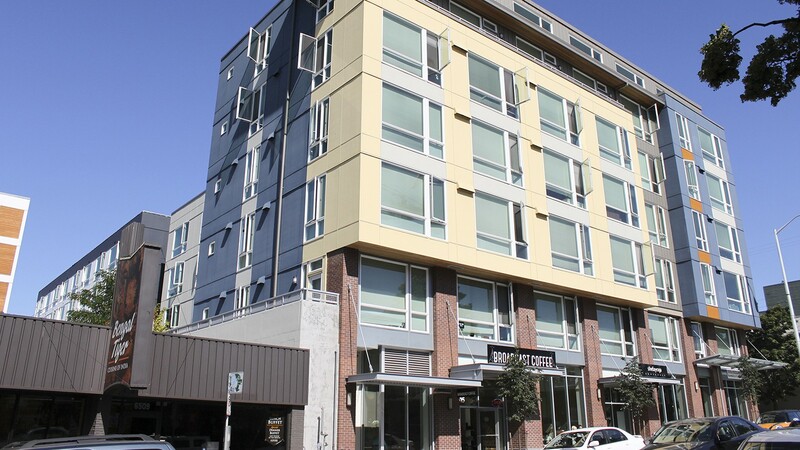 Barrientos has been building housing in Seattle since 1989 and is one of the city's leading housing developers in a very male-dominated field. When I spoke with her in July 2017, Seattle was leading the nation in the number of cranes in the city. She felt the increased volume of work at the planning department meant that "every permit is taking four to six months longer than usual." But in talking to Barrientos, I could only think of how Seattle at its slowest offered builders a faster and more predictable process than San Francisco at its fastest. Barrientos's projects typically break ground a year after submission of the plans. That's two years faster than the standard similarly sized project in San Francisco. As Barrientos said, "The land use and building codes are pretty clear in Seattle. As long as you follow these rules, you get your permit. The city's attitude tends to veer toward working with developers and being pro-density. The code is geared toward ensuring smart growth and encouraging better design, not toward stifling production." Builders yearn for such a process in San Francisco and in most of the surrounding Bay Area cities. As state State Sen. Nancy Skinner, D-Berkeley, described the situation in a September 2017 speech, "Getting a permit to build housing should not be a shell game. If you meet the rules, your housing should get built."